CorelDraw GMS password remover solution that allows user to remove the applied password from a CorelDRAW GMS file by resetting it with a new password. The tool easily removes all types of password like special character, numeric, alphabetic, etc. The tool supports X7, X6, X5 and lower versions of CorelDraw GMS. GMS Password Remover tool is simple and friendly to work with. It facilitates the users with resetting password for the .gms file. If you forgot the password then, load the file to the tool, it will provide a new password without affecting the content. Whatever be the length of the password applied previously, the tool changes it. The tool removes the old password and auto generates new password. 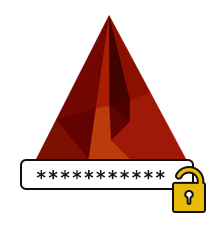 CorelDraw GMS Password Remover tool resets whatever password is applied to the file, maybe a multilingual password containing symbols, digits etc. The software supports all the files of CorelDraw such as, X7, X5 etc. There is no much technical knowledge required for the users to work with the tool. The software does remove the old password? Yes, and also provides facility to user can set a new password. The software supports CorelDraw Macro versions? Yes, Software supports CorelDraw X7, X6, X5, X4 Macro version. Can I use this software with my Windows machine? Yes, software supports Windows 8, 8.1 and all below versions.